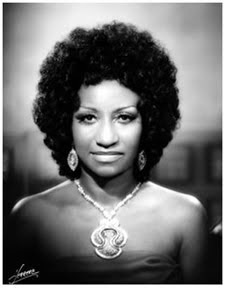 Celia Cruz born in Havana, Cuba as Úrsula Hilaria Celia de la Caridad Cruz Alfonso was one of the most successful Salsa performers of the 20th century, with twenty-three gold albums to her name. She was renowned internationally as the "Queen of Salsa" as well as "La Guarachera de Cuba". She spent most of her career living in New Jersey, and working in the United States and several Latin American countries. Celia Cruz is being honored by the U.S. 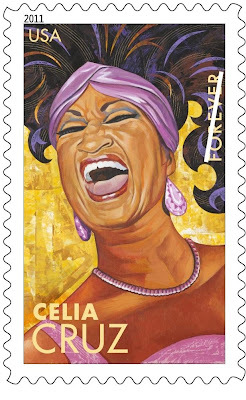 Postal Service along with four other Latin Music Legends: Selena, Carlos Gardel, Carmen Miranda and Tito Puente for their lasting impact on American music. Unfortunately, in her native Cuba the communist regime has done everything possible to convert her and other musicians, such as Olga Guillot, into non-persons banning and censoring their music. This has been so extreme that according to the book Shoot the singer! : music censorship today edited by Marie Korpe there is increasing concern within the international music community that post-revolution generations are growing up without knowing or hearing these censored musicians and that this could lead to a loss of Cuban identity in future generations. Justice has arrived for General Jorge Videla, the former de facto head of Argentina from 1976 to 1981, was sentenced to life in prison on December 22, 2010 for being "criminally responsible" for the torture and deaths of 31 prisoners in Cordoba. The world is again looking at the events during Argentina's "Dirty War" and the Cuban regime's complicated involvement bears closer examination. Throughout the 1970s, Cuba provided training and tactical advice to Argentina's two most powerful terrorist groups: the Montoneros and the Peoples' Revolutionary Army (ERP At one time Cuba used its Buenos Aires embassy to maintain direct contact with those groups. When the Argentine government decisively suppressed the two groups in 1978, Cuba permitted Montoneros to establish headquarters (and later, intelligence facilities, labor union organizational apparatus, and top command facilities) on Cuban soil. From there, Montoneros groups are sent to infiltrate Argentina and to participate in Internationalist brigades," such as those that fought with the Sandinista guerrillas. Argentina is the home base of the Junta de Coordinación Revolucionaria (JCR) founded in February 1974 to coordinate the activities of guerrilla movements in Chile, Argentina, Uruguay and Bolivia. The JCR was disbanded in 1977 but reactivated in the summer of 1979 following the Sandinista victory in Nicaragua. 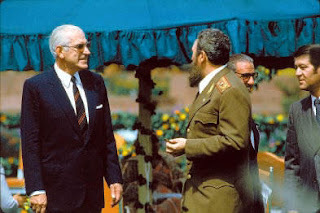 On the picture on the right is Fidel Castro with Argentine foreign minister Nicanor Costa Mendez, one of the planners of the Falkland's invasion, of the Argentine military junta that extra-judicially executed and disappeared as many as 30,000 Argentinians between 1976 and 1983 in the Dirty War meeting in Havana at the Non-Aligned Movement gathering. He died of lung cancer on August 3, 1992. 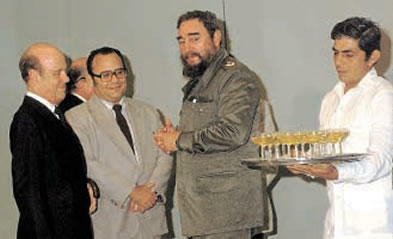 That is not the only member of the junta that Castro commiserated with because he was also photographed here on the left with "President" Reynaldo Benito Antonio Bignone Ramayón who, like Fidel Castro then and Raul Castro today , was"President" in name only, but in reality a brutal military dictator between 1982 and 1983. On April 20, 2010, he was sentenced to 25 years in prison for the kidnapping, torture, and murder of 56 people in a concentration camp. Whereas groups like Human Rights Watch and Amnesty International sought to expose the Dirty War and stop it and to later document the crimes committed and along with the victims demand justice the Cuban government did everything at the time to block efforts to investigate the disappearances from their perch at the United Nations Human Rights Commission. This leads to the obvious question: Why? There appear to be two answers and both involve Jimmy Carter. In December of 1979 when the Soviet Union launched a large scale invasion of Afghanistan, President Jimmy Carter responded with boycotting the 1980 Olympics in Moscow and a grain embargo. Secondly, one of the hallmarks of the Carter Presidency was to focus on human rights as a foreign policy priority. The United States went after gross human rights abusers, including strategic allies, such as Somoza in Nicaragua; Pinochet in Chile; and the Military Junta in Argentina. This combination of factors led to the Military Junta in Argentina breaking the U.S. grain embargo on the Soviet Union in 1980 and becoming close trade partners with the Soviet Union. At the same time a human rights focus did not play into the interests of the Cuban government because it systematically violates human rights. The condemnation of the military junta in Argentina for gross human rights violations would soon lead to the condemnation of the Cuban communist regime for its own gross human rights violations. This led to Fidel Castro and the Cuban regime backing the military junta in international forums like the United Nations Human Rights Commission and inviting members of the military junta to Havana to drink champagne with Fidel Castro. The same Cuban regime that trained and placed urban guerrillas in Argentina creating the conditions that led to the existence of the military junta then forged an unusual alliance with it to the detriment of the very people it had trained. 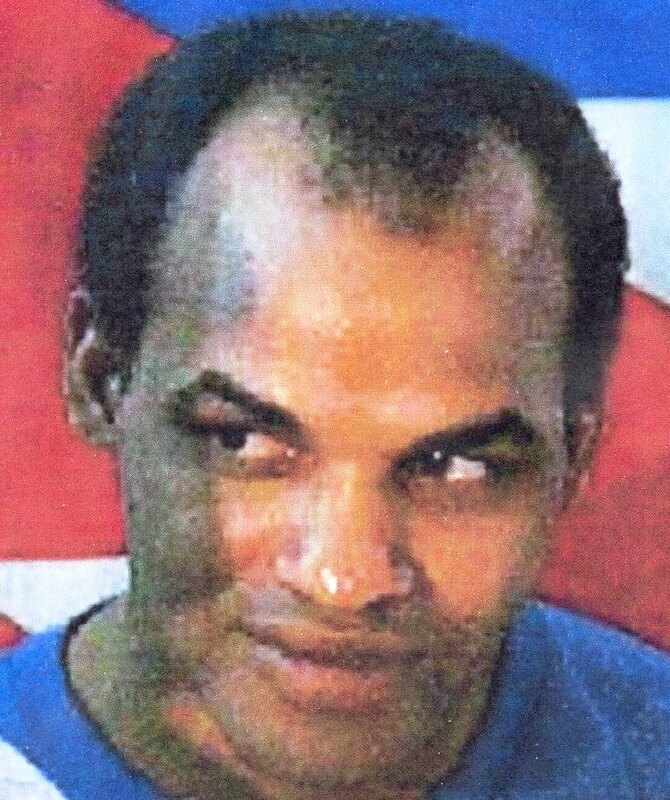 Over ten months ago on February 23, 2010 Cuban prisoner of conscience Orlando Zapata Tamayo died after a prolonged hunger strike during which prison officials denied him water for over two weeks. The Cuban regime did not expect the international outcry over Orlando Zapata's death but initiated an intense effort to re-write his life story and slander his memory but it failed. This extrajudicial killing of Orlando combined with the brutalization of the Ladies in White a month later on the seventh anniversary of the Cuban Black Spring created a situation combined with an economic crisis that led the Cuban regime to the negotiating table. The result of this negotiation mediated by the Catholic Church was a commitment by the regime to release all the prisoners of conscience imprisoned during the March 2003 Black Cuban Spring. The prison conditions and attacks against the dignity of these prisoners continue. Sadly, so do prisoners going on hunger strike. Agustín in addition to demanding an end to the cruel and degrading treatment by prison officials is also demanding that the remaining 11 prisoners of conscience arrested during the 2003 Cuban be released without having to go into exile. They were supposed to have all been freed by November 7, 2010 but the regime has failed to honor this commitment. Instead Reina Luisa Tamayo, the mother of Orlando Zapata has suffered beatings and death threats. 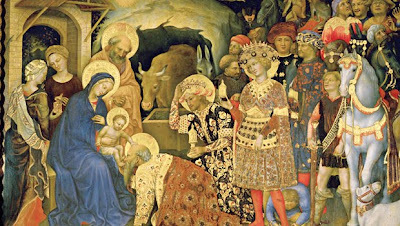 Another Christmas came and went in which these non-violent prisoners of conscience were separated from their families. The Ladies in White on Twitter on Christmas Eve tweeted to the world that "Eleven dissidents of the Black Spring of 2003 remain in prison, today is December 24 FREE THEM so they can celebrate Christmas!" They are still there on December 30, 2010. The Cuban regime would prefer to release political prisoners that have allegedly committed violent acts into exile then free these 11 prisoners of conscience who are non-violent. 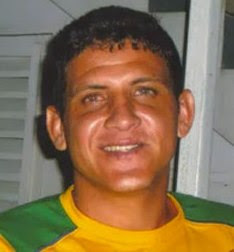 Meanwhile as Agustín Cervantes's health deteriorates and international media remain indifferent to his plight has led Oswaldo Payá Sardiñas on December 28 to ask him to end the hunger strike so as not to sacrifice his life or become so incapacitated that prison guards can "assist" in ending his life and blame it on the hunger strike. Payá has also denounced the repeated transfers of Agustín from one prison to another while in such a fragile state of health. According to independent journalist Ana Aguililla on December 30, 2010 the home of Agustín's family was under siege by political police and paramilitary elements harassing and brutalizing his family. Remember Agustín Cervantes and all of Cuba's prisoners of conscience in your prayers and make sure the world does not forget about them; the brave Ladies in White who stand up for them and Orlando Zapata Tamayo. Pray as if it all depended on G-d and work to raise awareness on their plight as if it all depended on you because it does. Cardinal Jaime Ortega in The Washington Post: "hope springs eternal" that Havana will honor its "formal promise" to free them. The Washington Post reports that "The Roman Catholic Cardinal who helped broker a deal with Cuba to free dissidents jailed in a 2003 crackdown says he hopes the government will make good on its pledge to release the last 11 remaining in prison." Cuba agreed to the deal in July. All 52 were supposed to be freed by early November. Exile was not an explicit condition of the agreement, however all but one of the 41 released so far are now living in Spain. Those still behind bars have said they want to remain on the island. These 11 men are "guilty" of loving their country not wanting to leave it and having the courage to say, while still in prison, that if released they will continue working to obtain democratic change using nonviolent means. The very reason the Cuban dictatorship unjustly imprisoned them in the first place. The term "love" is not a sentimental or weak love, but the powerful "love" known through Christian thought and the ancient Greeks as "agape." C.S. Lewis in his book The Four Loves offered an explanation of the the four Greek words that are translated as love in English: "storge" (affection), "philia" (friendship), "eros" (sexual or romantic love) [ all of which have a rational basis for existing based on self-interest and reciprocity]. It is the fourth kind of love that Lewis describes as "agape" (selfless love) "passionately committed to the wellbeing of the other" that applies here. It is also the reason that the Cuban dictatorship could not predict that this would happen. Because agape has been described by Peter Kreeft as a "scandal to reason because it means loving people not just in terms of justice or what they deserve, but simply loving them absolutely. " It does not fit into the dialectical materialist framework. It transcends both the dialectical and the material because it is of the spirit and not the flesh. As Christmas approaches and the Christian world prepares to celebrate the birth of Jesus Christ and begins to reflect on the "scandal of the cross" and the significance of Easter. It can be said that these men are following a distinctly Christian path. Hopefully, after so many years separated from their families these prisoners of conscience will be able to celebrate Christmas at home with them this year. Nevertheless, one thing is certain whether in prison or back home their selfless sacrifice for the good of all Cubans follows Christ's teachings and with their example offers everyone hope. At the same time one cannot forget that there are still scores of political prisoners that will still be in prison despite the release of these 11 and they should not be forgotten. Opposition candidate Uladzimir Niakliaeu (pictured above) on his way with supporters to take part in the demonstration didn't make it. He appeared to have been assaulted by regime forces before arriving in the square and left unconscious. Uladzimir Nyaklyayew was beaten unconscious by unknown men while he was about to lead a group of his supporters to a rally in Kastrychnitskaya Square to protest what the opposition claims was large-scale vote-rigging in Sunday`s presidential election. At about 7:20 p.m., the opposition presidential candidate and about 100 his supporters were attacked by about 50 men in black clothes while standing near the office of the "Tell the Truth!" campaign led by Mr. Nyaklyayew. Several other people were also severely beaten, including Mr. Nyaklyayew's campaign chief, Andrey Dzmitryyew. Mr. Nyaklyayew was carried into the office. An ambulance was called for him. Needless to say the sounds of gun shots and screams of the peaceful demonstrators terrified for their lives is disturbing. It looks like nightmare. Like civic war. A lot of people just disappeared. I hope I won't hear about deaths today... Around 2000 people are arrested and disappeared. International friends, please, SOS, spread the word, it is really scary and your solidarity will help us so much! In Belarus another undemocratic "election" has taken place and the dictator brutalizing the opposition and all who dare dissent has blocked the internet and begun mass round ups of the political opposition. Now is the time to speak out on behalf of the democratic opposition in Belarus and denounce the brutality inflicted on them. Alexander Lukashenko has been ruling the country since 1994 and shows no sign of giving up power. This is not the first vote he has rigged. "The violent crackdown by the Belarusian authorities on opposition candidates and peaceful protesters in Minsk last night is truly deplorable. These acts are totally unacceptable and are an offense to the European Union and the democratic world. On behalf of the EPP, I offer my full solidarity to the democratic opposition in Belarus," the EPP President declared. International observers have declared the presidential election "seriously flawed and violent." According to the Associated Press: "The Organization for Security and Coooperation in Europe said the count in Sunday's vote was 'bad or very bad' in half the country's precincts." Thousands of opposition demonstrators in main square of Minsk protesting irregularities in the "election." On Sunday, December 19, 2010 riot police attacked opposition with stun grenades and truncheons scores hurt and detained. On Monday, December 20, 2010 security services rounded up scores of opposition leaders and their supporters. At least 230 people and seven candidates detained in Minsk (UPDATED) Trials will take place on Monday. PHOTO AND VIDEO OF ACTION DISPERSAL + A LIST OF THE DETAINED and phone numbers to find out what has happened to your relatives and friends. Akrestsina phone numbers where some of the detained are kept: 220 44 42, 372 74 28, and Pershamaiski District Department of the Interior: 280 02 02. Moscow District Department of the Interior: 286 22 02, 208 78 15, October District Department of the Interior: 222 04 42, 222 04 46, Central District Department of the Interior: 288 02 02, 288 78 84. A mop-up operation occurred at the Independence Square. People are transported in the police vans. One of the detained, Tatstsyana, informed live on air that 35 people had been detained and were transported to the direction of the Minsk belt road. 23.20. A mop-up operation is happening at the Independence Square. The crowd is broken into parts, riot policemen beat and detain people. A number of police vans stand near the House of Government, some of them have left, full with people. Military men of the internal troops joined the riot policemen. 22.58. Riot police break into the column of people and is running to the Lenin’s monument, beating people. Someone in the crowd says they have beaten Vital Rymasheuski and dragged him to the police department. Rymasheuski is not seen anywhere. The leaders of the action call on people not to leave and demand the police should stop beating people. 22.50. It is unknown why the special forces relocate. A presidential candidate Vital Rymasheuski’s head has been severely injured. 22.40. Controversial information with regard to negotiations between the leaders of the action and the special forces. According to some information, the presidential candidates did not enter the House of government. 22.30. The demonstrants started breaking the doors. Riot police with shields appeared and forced the people back from the building. 22.25. No information from the opposition leaders who went to negotiate. The demonstrants start breaking the doors. 22.10. The leaders of the action have approached the House of Government to negotiate with the special forces representatives. They demand new election without Lukashenka. 21.49. The information that people are breaking glass in the House of Government appeared. However, the leaders of the action stated it was a provocation and led the people back from the building. 21.45. Information about storming the “Tell the Truth!” campaign office has not confirmed. 21.40.Euroradio’s correspondent Zmitser Lukashuk, the audio apparatus has been installed near the Red Catholic Cathedral. Andrei Sannikau made a speech. It became known that “Tell the Truth” office was occupied by riot police. 21.30. There is no free space near the Pedagogical University at the Independence Square. Our correspondent Artsyom Martynovich informed that the riot policemen had said they would use special technical means against the demonstrants. Now is the time for all people of good will to demonstrate their solidarity with the democratic opposition in Belarus and to demand that fundamental human rights be respected and that the time has arrived for the dictator Alexander Lukashenko to step down. Every little bit helps. Take a stand. Sign a petition. If there is an embassy or consulate nearby representing Belarus hold a candlelight vigil or a picket demanding an end to the violence and freedom for all those unjustly detained. Amnesty International has weighed in demanding an end to the clampdown on the opposition. Take action now. Sign this petition and make a demand for an end to this injustice and ask your friends to sign as well. - it seems that the rumors of people being transferred to Hrodna & Homiel are just rumors but it may end up that only a few prisoners were taken there. Thank you for the feedback you are sending and for the support you are providing! The KGB seized mostly computers (laptops & towers) as well as data storage & some printed materials. Of the good news, Andrei Dmitriyev's lawyer was allowed to meet with him on Saturday, which is a bit strange because it wasn't a visitation day at the KGB detention center. He seems to be in a good condition. - Everyone who was sentenced to 10-day arrest was released today. The government drove people in buses around Minsk and let them at random locations so that the prisoners could not be greeted with a large crowd. Several people of the released had untreated fractures. - All citizens of Russia and the young man who was snatched out of his mother's car were released early. - Six of nine candidates were indicted with promoting events that led to riots. Arrests for everyone indicted were ordered for 2 months. - Alies Mikhalievich is the only one who has not been charged. His 10-day detention expires on December 30. - Vladimir Niekliayev suffered a hypertension emergency. His lawyer says he is on stroke watch and not hospitalized. - A lawyer for Natalya Radina (editor-in-chief of Charter'97 website) says she still is not healed after the beating at the time of detention and bleeds from her ears. - Poland announced that starting January 1 all Belarusian citizens could receive extended national visa for free. They also started a blacklist for people involved in rigging elections & repressions of protesters (police officers, judges, business managers, etc). The blacklist will apply to the entire European Union because of the common border policy. The human rights watchdog NGO Spring '96 published the most complete list of persons charged with inciting & participating in riots on December 19 as well as the current suspects in the case. In addition Zmitsier Dashkievich (Young Front's chairman) and Eduard Lobau (Young Front activist) are charged with hooliganism for an alleged assault of some person and have been under arrest since December 18, 2010. Natalya Koliada will be in Washington, DC, for some meetings in US government on January 6-7. We are trying to find out whether she will have time for a meeting with the diaspora & others here. Upon hearing about the Wikileak controversy over Michael Moore and the film Sicko being broadcast into Cuba three questions come to mind: Is the Cuban health care system as presented by Moore in his film accurate? If and when the film was broadcast in Cuba was the section on Cuban health care included without edits for the Cuban audience? What did the average Cuban on the island think of the film? At this point the first question raised can be addressed. The movie Sicko does not present an accurate profile of the Cuban health care system. Cuba has a two tiered health care system one tier for the nomenklatura (which includes the sons and daughters of revolutionary leaders like Juan Juan Almeida) and foreign tourists with hard currency which is relatively good and offers care with modern equipment and fully stocked pharmacies, and then there is a second tier which is for everyone else which offers broken down equipment, run down buildings and rooms, and scarce supplies not to mention an appalling lack of hygiene and the denial of certain services and lengthy wait times. It appears that even for the Cuban regime elite all is not wonderful in Cuban health care. The diplomatic cable cites and coincides with news reports on how: "Even the Cuban ruling elite sometimes goes outside of Cuba for the best medical care. Fidel Castro, in July, 2006 brought in a Spanish doctor [Jose Luis Garcia Sabrido] during his health crisis. Vice Minister of Health Abelardo Ramirez went to France for gastric cancer surgery. The neurosurgeon who is Chief of CIMEQ Hospital (reportedly one of the best in Cuba) went to England for eye surgery and returns periodically for checkups." The statistics and numbers that Michael Moore cites in the video at the top of the blog entry and that the international community has access to with relation to the Cuban healthcare system have been manipulated by the dictatorship. Katherine Hirschfeld, an anthropologist, in Health, Politics, and Revolution in Cuba Since 1898 describes how her idealistic preconceptions were dashed by 'discrepancies between rhetoric and reality,' she observed a repressive, bureaucratized and secretive system, long on 'militarization' and short on patients' rights. This is a scholarly analyis that looks at the Cuban healthcare throughout Cuban history and offers a fair analysis. It is not a political tract. In conclusion, there is a health care system which is rather decent for regime elites and tourists and another one for everyday Cubans that is a disaster. A lot of the footage of the state of real health care in Cuba was provided by Dr. Darsi Ferrer who later became an Amnesty International prisoner of conscience. In the cable the press broke the story on Moore and Sicko the the U.S. diplomat is citing a Cuban. Below is the complete wikileak that Michael Moore has devoted an entire blog entry to debunk but fails to mention that at the time that the cable was sent the film had not been shown in the island and a Cuban medical doctor and dissident as early as 2007 had described Sicko as banned in Cuba. In addition the cable was classified and secret, but more importantly is the rest of the cable and specific examples outlined. 1. (C) SUMMARY: This cable is a follow up to Reftel and provides anecdotal accounts from Cubans about their healthcare, based on USINT FSHP's (Foreign Service Health Practitioner) interactions with them, her unauthorized visits to Cuban hospitals, and her care of USINT American and Cuban personnel. End Summary. 2. (C) The following anecdotes were obtained from Cubans of various walks of life: domestic employees, neighbors in the Havana suburbs, USINT Local Contract National (LCN) employees, service providers such as manicurists, masseuses, hair stylists, chauffeurs, musicians, artists, yoga teachers, tailors, as well as HIV/AIDS and cancer patients, physicians, and foreign medical students. -- A Cuban woman in her thirties confides, "It's all about who you know. I'm okay because I am healthy and I have 'friends' in the medical field. If I didn't have my connections, and most Cubans do not, it would be horrible." She relates that Cubans are increasingly dissatisfied with their medical care. In addition to the general lack of supplies and medicines, and because so many doctors have been sent abroad, the neighborhood family physicians now care for 300-400 families and are overwhelmed by the workload. (Note: Neighborhood doctors are supposed to provide care for only 120 families. End Note.) In the absence of the physicians, patients go to their municipality's "polyclinic," but long lines before dawn are common, with an all too common 30-second diagnosis of "it's a virus." -- A 40-year old pregnant Cuban woman had a miscarriage. At the OB-Gyn hospital they used a primitive manual vacuum to aspirate the contents of her womb, without any anesthesia or pain medicine. She was offered no emotional support for her 'loss' and no pain medication or follow up appointments. -- A 6-year old Cuban boy with osterosarcoma (bone cancer) is admitted to the oncology hospital. Only his parents are permitted to visit, and then only for limited hours. He does not have a television nor any games or toys. The hospital offers no social support services. The parents do not seem informed as to their son's case. When asked by the FSHP what they know about the management of the disease, they shrug their shoulders. According to the FSHP, cancer patients do not receive on-going basic care utilizing testing procedures common in much of the world to monitor cancer care -- such as blood chemistries and tumor markers, sonograms, x-rays, CT and bone scans, MRIs, PET scans, etc. Patients are generally informed of the type of cancer they have, but know little of its staging, tumor size, metastasis, or prognosis. They may be offered surgery followed by chemotherapy and/or radiation but are not given choices to decide an aggressive versus less aggressive approach, nor are they allowed internet access to learn more of their disease. -- Many young cancer patients reportedly have become infected with Hepatitis C after their surgeries. Contracting Hepatitis C after surgery indicates a lack of proper blood screening prior to administering transfusions. All blood should be screened for Hepatitis B, C, HIV and Syphilis prior to use. Patients have no recourse and are not fully informed of the seriousness of such an inadvertent infection. -- During chemotherapy and radiation treatments, patients receive little in the way of symptom or side-effects care (i.e., severe nausea, vomiting, low blood counts, fever, diarrhea, radiation burns, mouth sores, peripheral neuropathies,etc.) that is critically important in being able to continue treatments, let alone provide comfort to an already emotionally distraught victim. Cancer patients are not provided with, nor can they find locally, simple medications such as Aspirin, Tylenol, skin lotions, vitamins, etc. Most Cuban patients are not offered Hospice Care or any social support programs for children, adults, or their care providers. -- Some newly diagnosed HIV/AIDS patients are held in what has come to be known as "Prision de Pacientes con SIDA de San Jose" (Prison for AIDS patients). There they are started on antiretrovirals AZT, D4T, 3TC. It is unclear to them why they were put in this prison-like facility but believe it is plain discrimination due to their homosexuality. The average period spent at this facility seems to be 18-24 months. -- AIDS patients are not given prophylaxis medication for the prevention of PCP (Pneumocysti carinii pneumonia), and for lack of newer medicines some patients are re-started on antiretroviral regimens that were stopped due to significant side effects. The Cuban family physicians who care for these patients' primary care needs do not have the authority to treat their HIV/AIDS disease. There is only one facility in Cuba, Instituto Pedro Kouri, located in Havana, where HIV positive patients can receive their specialty care, antiretroviral medications and treatments. According to HIV positive Cubans known to FSHP, one usually waits for months for an appointment, but can often move ahead in line by offering a gift or hard currency. We are told five Cuban convertible pesos (approximately USD 5.40) can get one an x-ray and more can get one a CD4 count. Patients on the island must travel to the capital city for their specialist visits and medication. Due to the lack of island-wide transportation and the cost of travel, many HIV-positive patients may be seen only once per year. -- While the GOC claims there is a network of organizations that provide social support for HIV/AIDS patients, many of our sources say they have never been to one. Because they are "marked" as HIV positive, many are prevented from pursuing university studies and few can find gainful employment -- many must resort to menial jobs to survive. -- A physician XXXXXXXXXXXX told the FSHP that he works 14 hours every other day, then has to hitchhike home because he cannot afford to own a car. -- XXXXXXXXXXXX stated that Cuban authorities have banned Michael Moore's documentary, "Sicko," as being subversive. Although the film's intent is to discredit the U.S. healthcare system by highlighting the excellence of the Cuban system, he said the regime knows the film is a myth and does not want to risk a popular backlash by showing to Cubans facilities that are clearly not available to the vast majority of them. When the FSHP showed Sicko to a group of XXXXXXXXXXXX, some became so disturbed at the blatant misrepresentation of healthcare in Cuba that they left the room. -- Even the Cuban ruling elite sometimes goes outside of Cuba for the best medical care. Fidel Castro, in July, 2006 brought in a Spanish doctor during his health crisis. Vice Minister of Health Abelardo Ramirez went to France for gastric cancer surgery. The neurosurgeon who is Chief of CIMEQ Hospital (reportedly one of the best in Cuba) went to England for eye surgery and returns periodically for checkups. -- According to a local pediatrician, the approximate breakdown of Cuban physicians' salaries are: 1st & 2nd year residences earn 325 pesos monthly (USD 15.00); 3rd year residences earn 355 (USD 16.00); 4th year residences (specialists) earn 400 pesos monthly (USD 18.00). For every four years of medical practice thereafter, a physician receives an additional 20 pesos (USD 0.89 cents) per month. accelerated training course of just ten-months duration entitled, "Enfermeras Emergentes" (Emergency Nurses). These "quasi" nurses are not trained to start Intravenous lines, interpret lab results or draw blood. -- Few medical professionals are allowed access to the internet and are rarely allowed to travel to participate in international conferences or continuing education courses. Access to up-to-date medical literature is not available. Some physicians have confided to the FSHP, "All of us want to leave." They are dissatisfied with their salaries and their own medical care. They receive no special privileges - most of them do not even have access to care at the better foreigner hospitals, even if they work there. -- As described in reftel, the best medical institutions in Cuba are reserved for foreigners with hard currency, members of the ruling elite and high-ranking military personnel. These institutions, with their intended patient clientele in parentheses, include: Clinica Central Cira Garcia (diplomats & tourists), Centro Internacional de Investigaciones Restauracion Neurologica (foreigners & military elite), Centro de Investigaciones Medico Quirurgicas (military & regime elite), Clinica de Kohly (Primer Buro Politico & Generals of the Ministry of Interior), and the top floors of the Hermanos Ameijeiras Hospital (foreigners) and Frank Pais Hospital (foreigners). These institutions are hygienically qualified, and have a wide array of diagnostic equipment with a full complement of laboratories, well-stocked pharmacies, and private patient suites with cable television and bathrooms. 4. (C) Below are first-hand observations from USINT's Foreign Service Health Practitioner's (FSHP) impromptu and unauthorized (by the GOC) visits to major Havana hospitals where average Cubans receive their healthcare, and from conversations with Cubans in many walks of life. -- Built in 1982, this newly renovated 600 bed, 24 story hospital is depicted in Michael Moore's film "Sicko," where some 60 surgeries are performed daily including heart, kidney, and cornea transplants, mostly to patients who receive free treatment as part of Operation Milagro (mostly from Venezuela, but also from the rest of Latin America). The two top floors (shown in the movie) are the most modern and are reserved for medical tourists and foreign diplomats who pay in hard currency. The hospital has three intensive care units and all medical specialties except Pediatrics and Obstetrics/Gynecology and has no emergency room. The facility has a CT scanner (often said to be out-of-service), MRI and hyperbaric chamber capabilities. -- Upon entering the building the FSHP was struck by the grand and impressive lobby with a four-story ceiling, polished terrazzo floors and an elegant center reception booth. No one was in the reception booth, which displayed a digital streaming ticker-tape announcing an outdated hospital event; 30 or 40 people were sparsely scattered in the leather-like chairs throughout the lobby. There were no wheel chairs or other obvious signs this was a hospital. -- She was told the majority of patients came from Venezuela and each received weekly one bar of Palmolive bath soap, Palmolive shampoo, and a tube of Colgate toothpaste. She was also told the Venezuelan patients frequently take these items outside to the front parking lot and sell them to local Cubans. Cuban in-patients receive one tube of Colgate toothpaste and no other toiletries. that the best hospital in Havana is "off-limits" to them. -- What is today the Obstetrics & Gynecology (OB-Gyn) hospital for Havana, used to be a private clinic prior to the revolution. 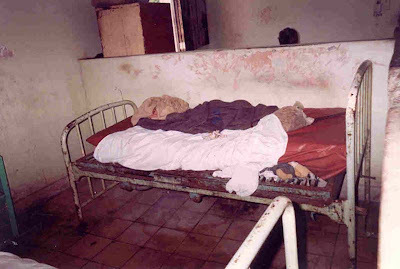 The hospital has: 300 beds and reserves 12 beds for foreigners; an Intensive Care Unit for women as well as a Newborn Intensive Care Unit (using a very old infant 'Bird' respirator/ventilator - the model used in the U.S. in the 1970s); an Intermediate Newborn Care Unit; one room for babies less than five pounds needing weight gain; a Genetics Department with a specialized laboratory; and five surgical suites. -- The FSHP visited this hospital with a pregnant USINT American patient. Normally USINT staff is required to go to Cira Garcia Clinic, but because there were possible OB complications the FSHP was able to arrange, through a Cuban medical contact, for the patient to be seen by a highly-recommended obstetrician. -- This hospital, located in the densely populated residential area of Vedado, had a dilapidated and crumbling exterior. The FSHP was stopped at the entrance by a guard, but upon mentioning the name of the doctor they were to see, were allowed to proceed to the second floor - supposedly the nicest part of the hospital, which is reserved for foreigners; it reminded the FSHP of some of the poorest hospitals she had seen in Africa - unkempt rooms, old wrought-iron beds, flat mattresses with only one sheet, no A/C, no TV, no amenities. At the nursing station there was no nurse, but a metal cabinet with glass doors that had one jar filled with cotton and one half-full 16 ounce bottle of isopropyl alcohol. There were no other supplies nor any indication this was a nurse's station - no stethoscopes, no computers, no medical charts, no papers or pens on the desk - there was a lone dial-type black telephone. -- After waiting 15 minutes a nurse in a white uniform appeared and told the FSHP and her patient to wait. She wasn't friendly. There was no waiting room, so they found some chairs in the hall. It was very hot and the patient was very anxious and in pain. After 45 minutes and several attempts in a polite manner to move things along, a young female doctor came out smiling and asked for the patient - she asked that her husband remain in the chair, but did allow the FSHP to go with her upon insisting. At the end of a long hallway, the FSHP and the patient were guided into an "exam room." There were no chairs, screens, posters, any medical supplies or equipment; only one old rusting sheet-metal table without any covering, extensions or stirrups. She asked the patient to undress and climb on the table with no intention to drape her. Having worked in third-world countries, the FSHP brought with her a bag of supplies that included paper drapes, which she placed on the table and over the patient. The doctor pulled out of a nearby drawer an old Pinard fetal heart stethoscope made of aluminum (funnel-shaped, like those used at the turn of the Century ) to listen for the baby's heart beat. 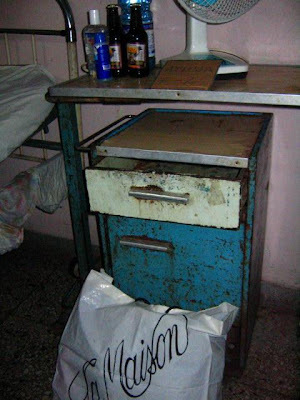 The FSHP could not believe her eyes -- this was one of the best OB/GYN hospitals in Cuba. When the FSHP offered the doctor a portable fetal Doppler she had brought from the USINT Health Unit (HU), she gladly accepted. be by the FSHP in their own home with telephone consults to an obstetrician in the U.S.
-- XXXXXXXXXXXX told the FSHP that XXXXXXXXXXXX foreign medical students are increasingly covering for the gross shortages of physicians in Cuban hospitals. -- Built in the late 1800's, this dilapidated 400-bed hospital was the first teaching hospital in Cuba and is only for Cubans. 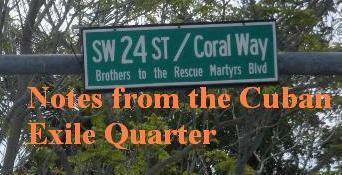 FSHP believes that if Michael Moore really wanted the "same care as local Cubans," this is where he should have gone. The 22-bed emergency room receives all the major trauma and accident victims from Havana City, plus there are large Intensive and Intermediate Care Units. It also has a CT scanner and an MRI, which are reportedly often out of order. The hospital provides specialist care in all medical fields except OB-Gyn and Pediatrics. -- During the hospital visit, FSHP was struck by the shabbiness of the facility -- no renovations were apparent -- and the lack of everything (medical supplies, privacy, professional care staff). To the FSHP it was reminiscent of a scene from some of the poorest countries in the world. -- In an open-curtained exam room inside the emergency room, FSHP saw a middle-aged man lying on a gurney in his own soiled clothes with a large bloody bandage wrapped around his head - he was breathing, but was neither moving nor talking - there was no IV, oxygen (in fact no piped-in oxygen at all at this facility) or monitoring equipment. Neither did there seem to be any sense of urgency to his care. -- The hospital is spread out over several city blocks consisting of many two-story buildings with various specialties: Internal Medicine, Cardiology, General Surgery, Orthopedics, Ophthalmology, and Neurology, etc. Each building is set up in dormitory style, with 44 metal beds in two large open rooms. -- The laboratory equipment is very rudimentary - a simple CBC (complete blood count) blood test is calculated manually by a laboratory technician looking through a microscope and counting the individual leucocytes, lymphocytes, monocytes, etc. -- As the FSHP exited a building, XXXXXXXXXXXX drove up in a badly dented 1981 Moskovich that belched exhaust fumes. The private car, which is a luxury in Cuba, was a gift from his deceased father. He was a thin man, appearing disheveled, unshaved, with a cigarette between his lips, wearing a tattered white lab coat without a shirt underneath. He said his salary was 565 pesos (approximately $22) per month. -- This 400-bed hospital is located in Cerro - a poorer and more densely populated section than the others visited in Havana. It is an old, run-down facility similar in appearance to Calixto Garcia Hospital in that there are several two-story buildings each with a medical specialty. be seen. It appeared to be very orderly, clean, and organized. -- The rest of the buildings were in shambles . The FSHP did not see any "real" medicine or nursing practiced during her almost one-hour walk through most of the buildings. As she saw patients, she could not help but think that their own home might provide more value-added than remaining in that hospital. Patients had to bring their own light bulbs if they wanted light in their rooms. The switch plates and knobs had been stolen from most of the rooms so one had to connect bare wires to get electricity. There was no A/C and few patients had floor fans. Patients had to bring their own sheets, towels, soap and supplemental foods. Hospital food service consisted of rice, fish, rice, eggs, and potatoes day after day. No fresh fruits, vegetables, or meat were available. Eight days away from Christmas 2010 and Dr. Oscar Elias Biscet will be spending his eleventh Christmas behind bars. The last Christmas Winnie Biscet, his daughter, spent with her father was in 1998. His supposed crime? A human rights defender and disciple of Mohandas Gandhi and Martin Luther King Jr. he wants to see Cuba transformed through nonviolent means into a free and democratic society. Imprisoned in November of 1999 for holding a press conference he was released on October 31, 2002 and rearrested on December 6, 2002 while holding a human rights seminar at another dissident's home. He was imprisoned without trial until March of 2003 when he was sentenced to 25 years in prison during the Cuban Black Spring in which 75 Cuban prisoners of conscience, including Biscet, were sentenced to long and unjust prison sentences. All of them were recognized by Amnesty International as prisoners of conscience. 2. Let others know about the above video and if you have a youtube account subscribe to the channel and share the video with others. 3. As Christmas is approaching please take a moment to record your own message calling for Dr. Biscet's freedom and that of all Cuban prisoners of conscience. Additionally print out the poster below and photograph yourself with it and e-mail the digital image to freecubanow@hotmail.com it will be used in a special video that will highlight the plight of Dr. Biscet and Cuban political prisoners. With the efforts of people of goodwill around the world perhaps Dr. Biscet's family will soon be spending Christmas with their father, son, and husband at home. Please help. Will you stand with them for human rights?